Contact us today at (956) 682-0500 for more information. Please respond with a phone number and email so we may provide you more detailed information. Volunteers mainly assist with administrative duties at hospice office. Respite and support for family members. Volunteers can assist with household maintenance, or allow family caregivers the opportunity to take care of necessary errands and get some time away from the house. Family members also appreciate a visit from a compassionate friend who understands what they are going through. Volunteers have also made invaluable contributions with family pet care. 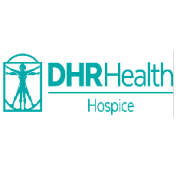 As per DHR Health policies, volunteers must commit to 100+ volunteer hours. Drug Screen and up-to-date immunizations.